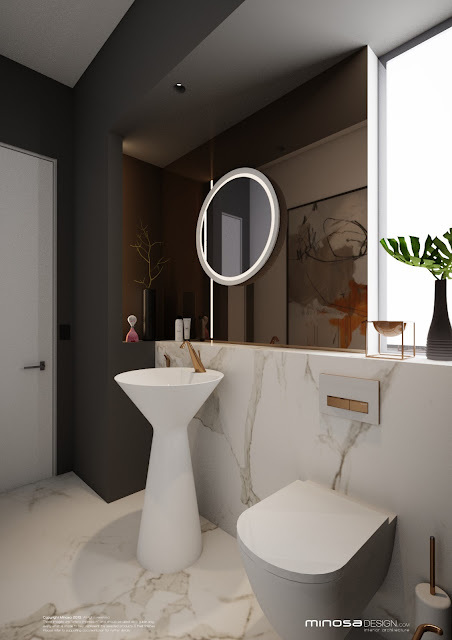 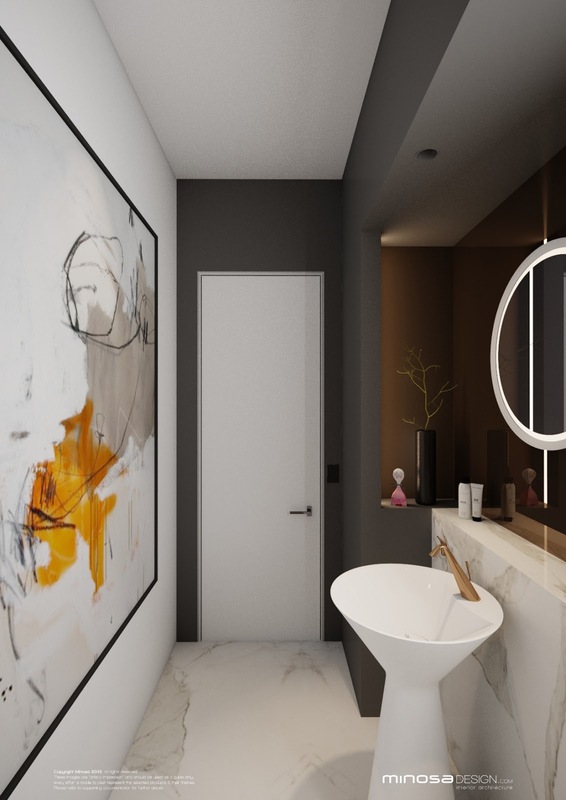 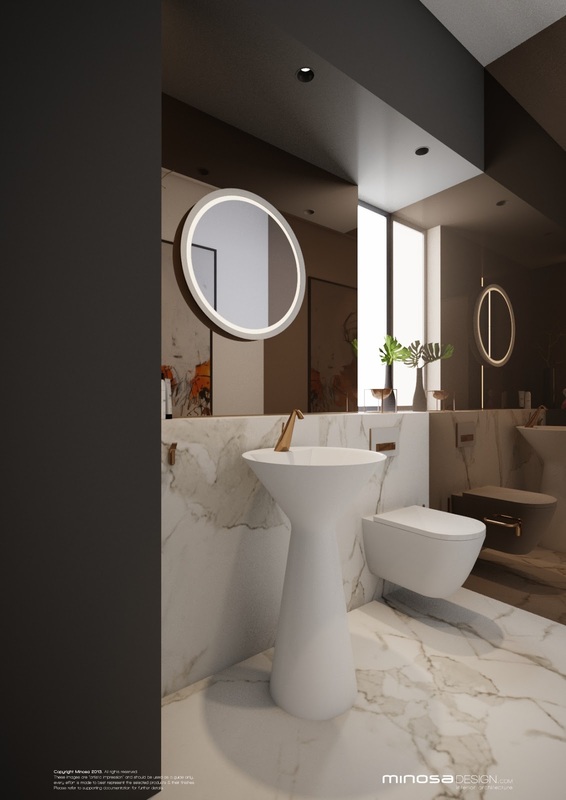 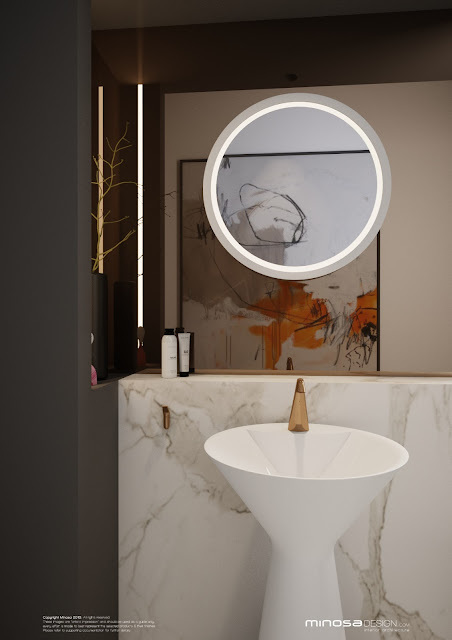 We have mentioned it before that the Powder Room in Australia is really becoming the room where client ask and demand for it to be a little bit extra special. Let's face it bathrooms by nature a selfish and private so why not make the experience of using it especially for our loved one and friends a little more special. 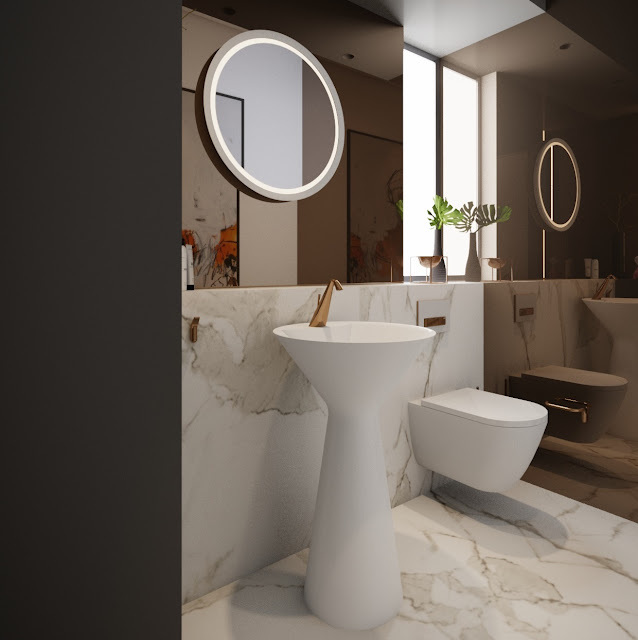 This powder room had exactly that brief, it had to WOW, our client wanted to knock the socks of the user as they entered. The use of texture and materials make the space exotic, the Marble is not real it is a man made replica that we challenge any body to pick the difference...the mirror is bronzed to match the incredible Cono tapware by Gessi. 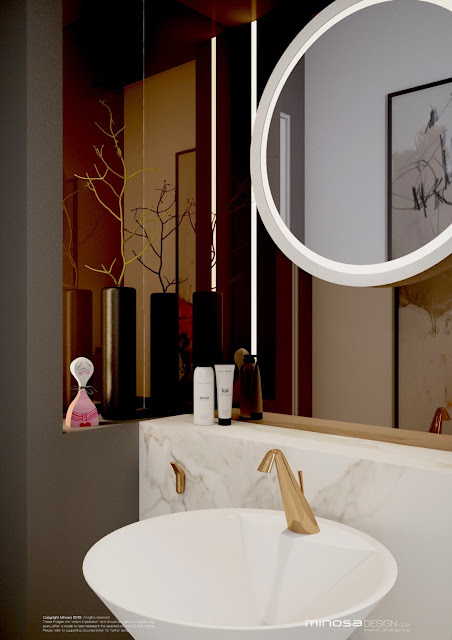 This tapware is a real highlight for Minosa at present. 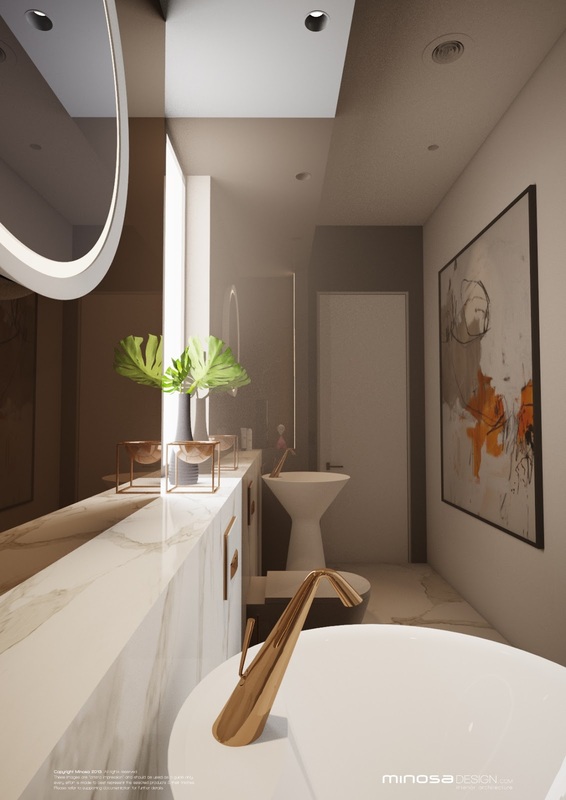 It appears to be a folded piece of brass! Amazing. 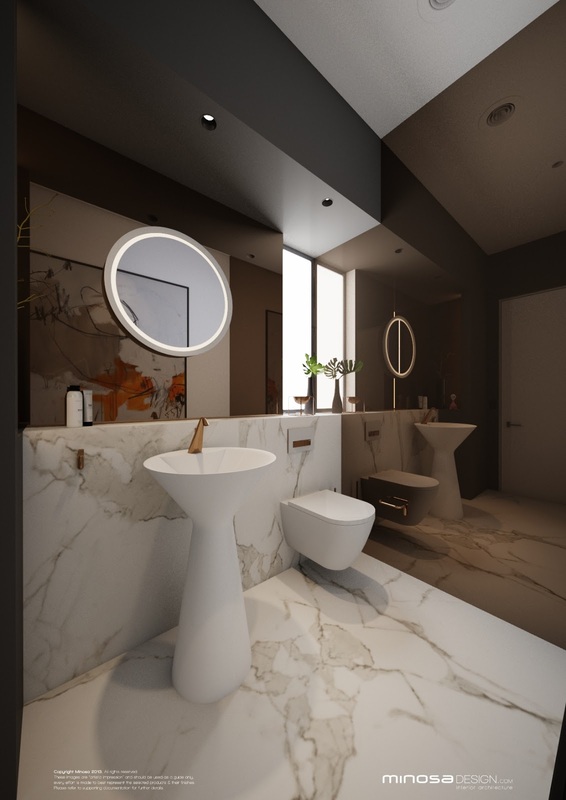 Modern Bathroom Design to share.